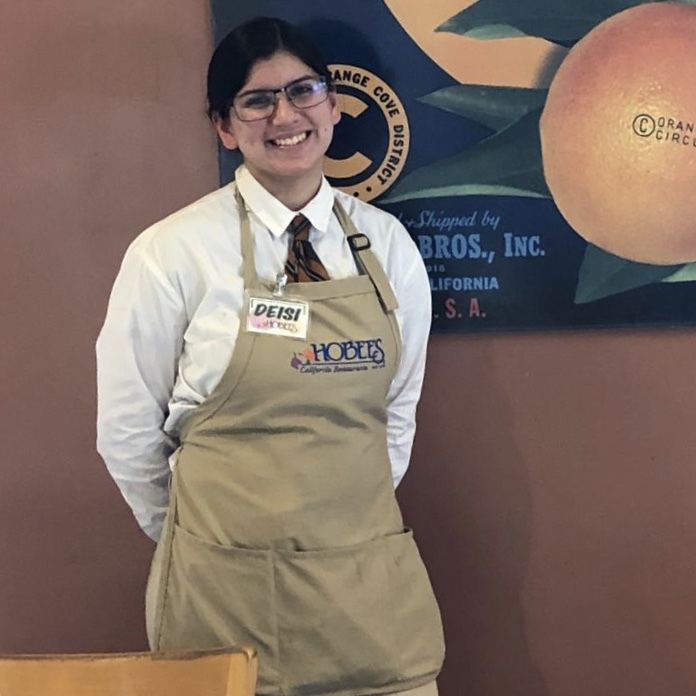 Why She’s The One: Though she has worked for Hobee’s for less than a year, Deisi has made quite an impact on Hobee’s Redwood Shores and her fellow crewmembers. Five of them wrote nominations in support of Deisi. Comments included: “She’s very welcoming, works fast and helps guests and waiters always”, “she’s always ready to work”, and “she is a hard worker and very attentive”. Still a student, Deisi no doubt has a very bright future ahead of her. We’re very pleased that she is making such a difference at Hobee’s Redwood Shores at such a young age. Congratulations, Deisi! Hobee's has satisfied thousands of healthy appetites with fresh, distinctive cuisine since 1974. Subscribe below and we'll send exclusive coupons right to your inbox.